Uttarakhand NEET Counselling 2018: The state centralized counselling of Uttarakhand will organize Uttarakhand NEET Counselling 2018 in the online mode. HNB Uttarakhand Medical Education University will manage the counselling. Through the counselling, applicants will get the admission in the various colleges of Private/government Medical, dental colleges, with state private university of Uttarakhand in MBBS/BDS courses. The more details regarding the UK MBBS Counselling 2018 is provided below in this article. 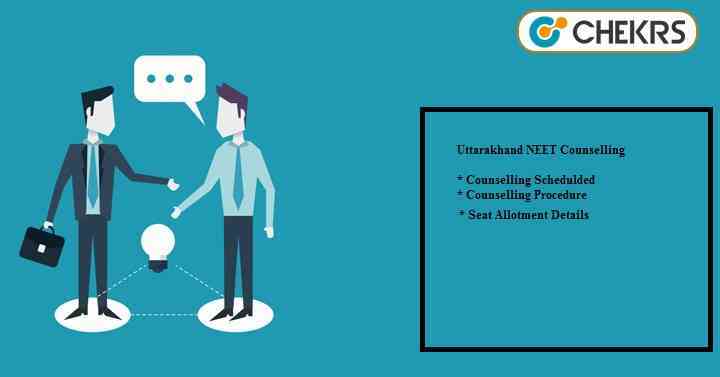 Applicants who are going to attend the Uttarakhand NEET counselling is required to know the Uttarakhand NEET Counselling Schedule. Mostly counselling registration notification releases in the month of July. The other detail regarding the counselling scheduled is given below the table. Those applicants who given the exam applying for the counselling in Uttarakhand NEET is required to know the procedure. So we are providing here the steps for the Uttarakhand NEET Counselling Procedure. The applicant can follow these steps to know the process. After the conduction of the 15% AIQ counselling, the admission procedure for the 85% state quota seats will be conducted. After the declaration of the result applicants is required to register for the counselling in the online mode. Candidates make note that firstly they do the payment then they have to do the registration. Those candidates who registered in the official site will allow the mop up and the second round of the counselling. Applicants will get the admission in the college as per their rank obtained in the NEET exam. The allotment of seats will be done as per the choices filled and marks obtained by the candidate. After the allotment of seat, applicants are required to report at the assigned college for the document verification. The Uttarakhand NEET Seat Allotment is done only those colleges which are mentioned below in the table as per the approval /recognition /permission by MCI/ DCI/ GOI at the time of seat allotment of a particular round. The list of Medical/Dental colleges of Uttarakhand state is as follows. The Uttarakhand NEET Cut Off will be expected to release in the fourth week of August 2018. The Uttarakhand NEET cut off will be released after the admission through the final round of counselling. The Uttarakhand NEET Cut Off for the admission will be published by the HNBUMU. The information provided here is as per the official notification. Applicants make sure to carry the entire necessary document when the counselling is scheduled. If the applicants have further any queries they can contact us through the comment box.